Yesterday was a big day for the Twins as it was their much anticipated Nativity performance for the Reception class parents with Zachary playing the part of a star and Zoey an angel. For the past few weeks we have been getting little snippets and previews of all the songs and accompanying actions so I couldn't wait to see it. 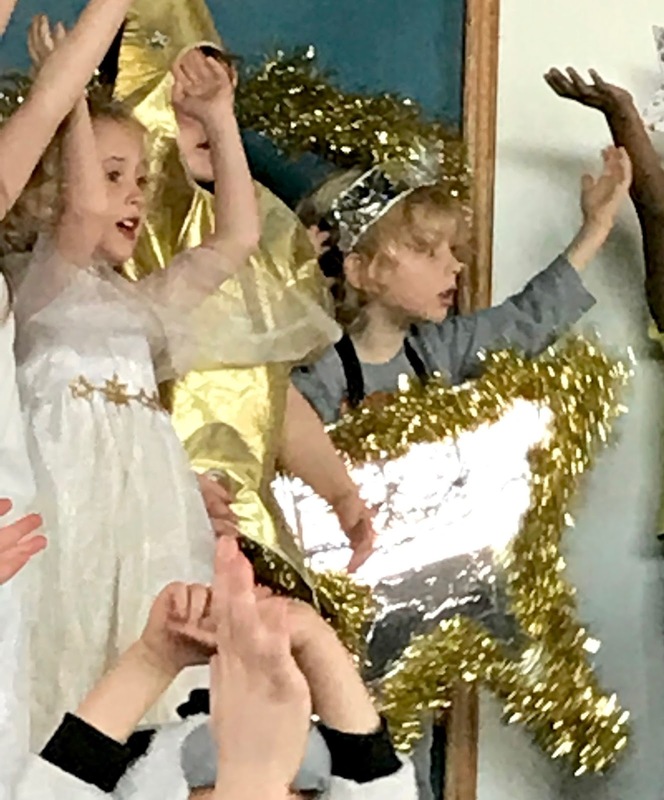 They were all so adorable on stage, singing their little hearts out and remembering the actions, with a very cute moment of impromptu laughter from the all kids making it a very special treat for the audience packed full of proud mummies, daddies and grandparents. The excitement doesn't stop there though as it's Ben turn tonight, he will be doing his very first solo singing The Little Drummer Boy with his school choir at a local carol concert. I am really looking forward to hearing Ben sing and getting all festive listening to the Christmas carols. 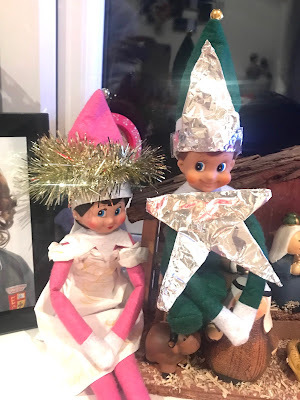 Of course our Elves wanted to join in the kids fun, so yesterday we found them assembled around our Nativity with Snowflake dressed as an angel and Oswald in a star costume while Stardust was busy practicing Little Drummer boy solo just like Ben.